We will introduce the materials and demo them before we start our real reason for painting. 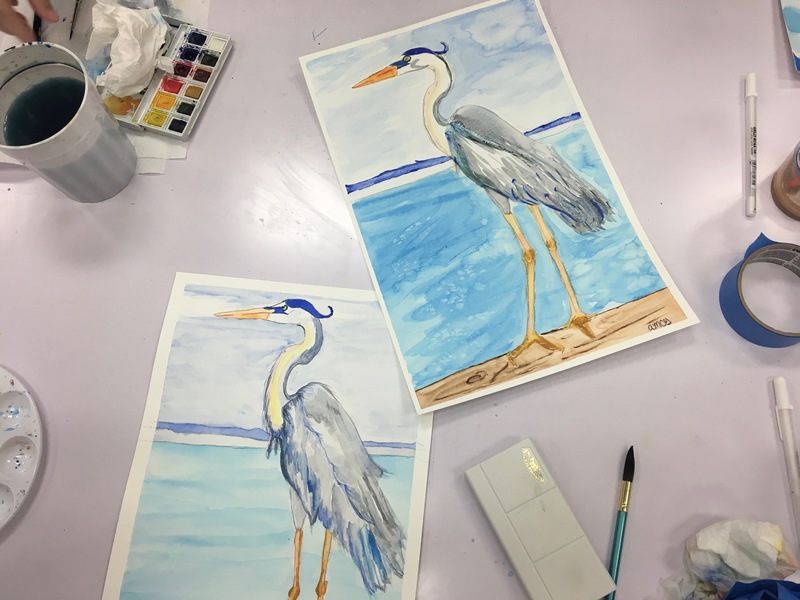 You will be introduced to two different methods of watercolor as you create your heron. Our limited palette and step by step instructions and personal help will guarantee a great time! Please prep the area so we can tape the watercolor paper down to the tables before arrival.